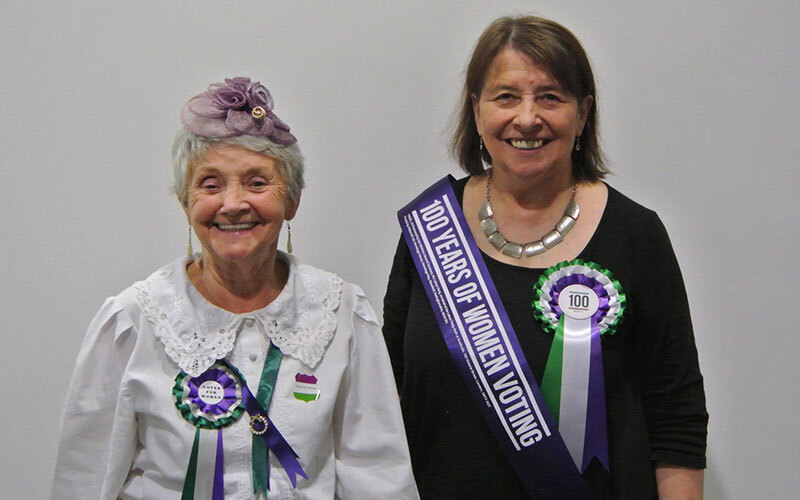 The Greater London South East Network and South East London U3A held a study event at the Royal Naval College in Greenwich marking the 100th anniversary of women’s suffrage. Around 70 members attended the event which not only looked at Suffragettes but also explored the effect on women’s roles in society up to the present day. We had a great panel of speakers which included Bridget Prentice who chaired the day. The audience were entertained by our poet in residence Terry Timmons. We were educated and entertained by our speakers firstly we heard from Dr Anne Dinsdale on the John Stuart Mill Petition some of the audience had not appreciated the role that men played in the Suffragette movement, so it provided a different perspective. We then had an interesting talk from Meghan Dobney who brought the subject close to home as she talked not only about the Pankhursts but about the suffragettes who lived locally in South East London. Lynne Dixon talked about Women in Housing she took three examples including Gertrude Leverkus who was commissioned by the Women’s Pioneer Housing to convert properties to be suitable for single women. Diane Deudney talked about how women were depicted in art with some fine illustrations to make her point. Finally, we had an inspiring closing talk by Theresa Pearce MP who brought us right up to date, by talking first hand of her experiences of being a woman in the House of Commons. We soon realised that the Suffragette movement was only the beginning and that even now 100 years later there was more work to be done. An example was that here in the UK we have only ever elected 489 women to parliament which does not compare well with the 442 men who are currently sitting. In some ways even more surprising was that at just 32% of MPs being women we lagged far behind countries like Rwanda (61%) or Bolivia (53%) and Cuba with (49%) in fact the UK does not appear amongst the top 20 countries worldwide. The feedback from those that attended was overwhelmingly positive and indeed an enjoyable day was had by all. ⟵A Online History Book Group?